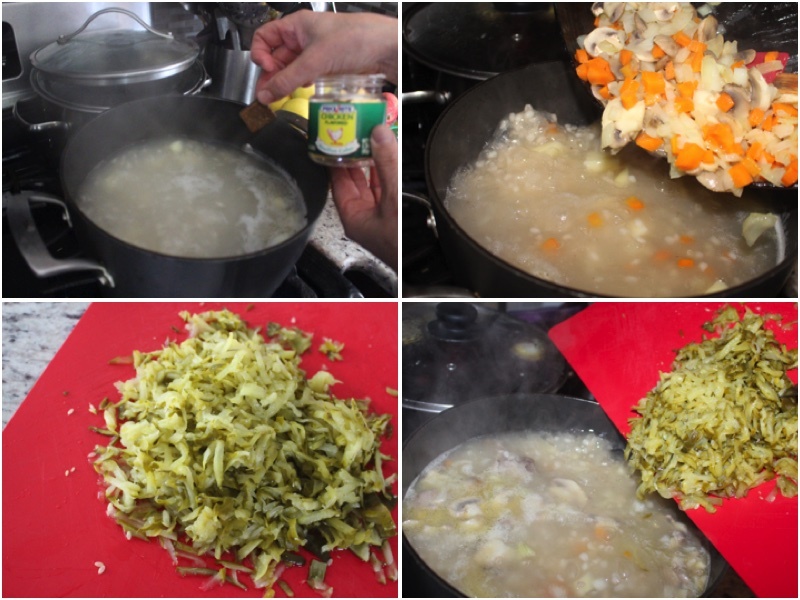 This recipe is very good and healthy its an original from Ukraine. It includes juicy pig ribs with sour cream witch taste delicious. 1.) To start wash your barley until it’s clean. In a large pot add your water and barley boil for 10 minutes. In a separate pot add your ribs, water and salt. Boil for 10 minutes on a medium heat. Wash, dry, peel and cut your mushrooms, carrots and onions. 2.) In a hot oiled skillet add your mushrooms, onions and carrots. Fry for 5 minutes while mixing occasionally. Wash, dry, peel and cut your potatoes. Add your potatoes to the boiling ribs and boil for 10 more minutes. If you want you can take the bubbles off the top. 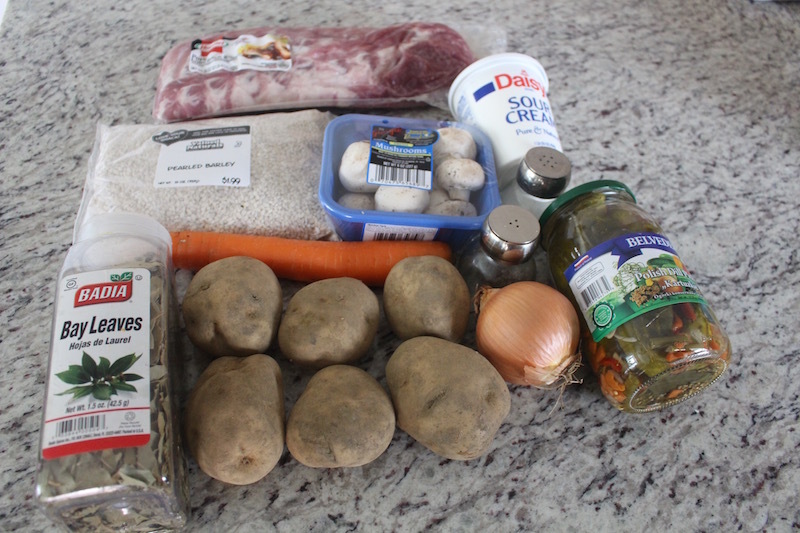 Drain your other pot so you just have the barley and add it to your pot with the ribs. 3.) Continuing add your chicken bullion and your fried vegetables, boil for 10 more minutes. On a cutting board shred your pickles and add them to the soup. Last but not least add your seasoning and bring it to a boiling point. Enjoy!! NOTE: Eat With Sour Cream For Extra Taste! 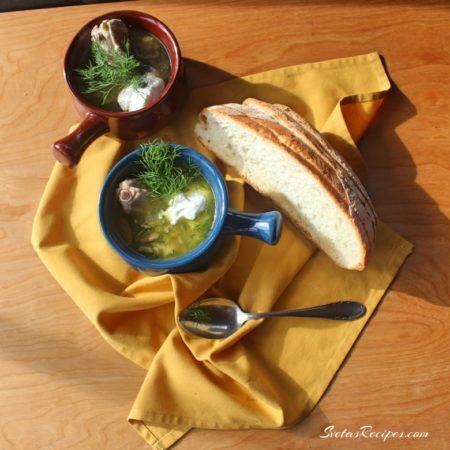 This recipe is very good and healthy its an original from Ukraine. It includes juicy pig ribs. To start wash your barley until it's clean. In a large pot add your wanter and barley boil for 10 minutes. In a separate bowl add your ribs, water and salt. Boil for 10 minutes on a medium heat. 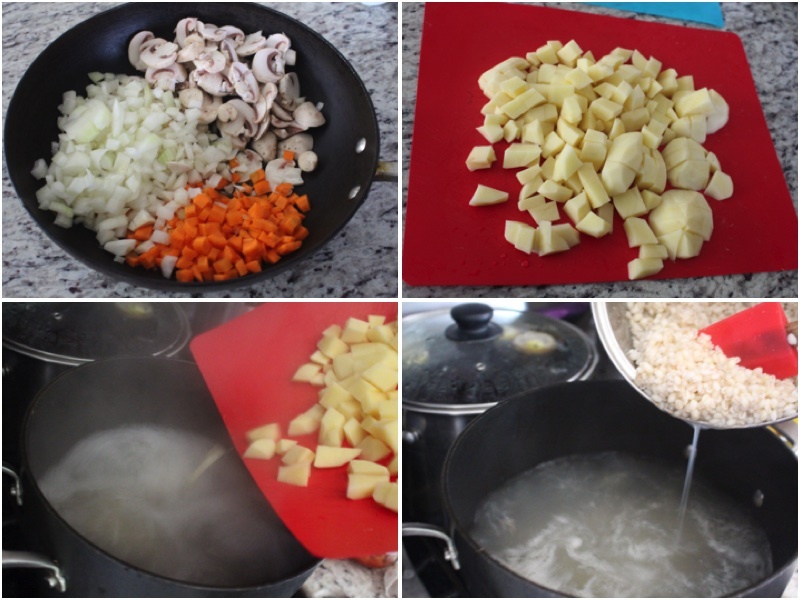 Wash, dry, peel and cut your mushrooms, carrots and onions. In a hot oiled skillet add your mushrooms, onions and carrots. Fry for 5 minutes while mixing occasionally. Wash, dry, peel and cut your potatoes. Add your potatoes to the boiling ribs and boil for 10 more minutes. If you want you can take the bubbles off the top. 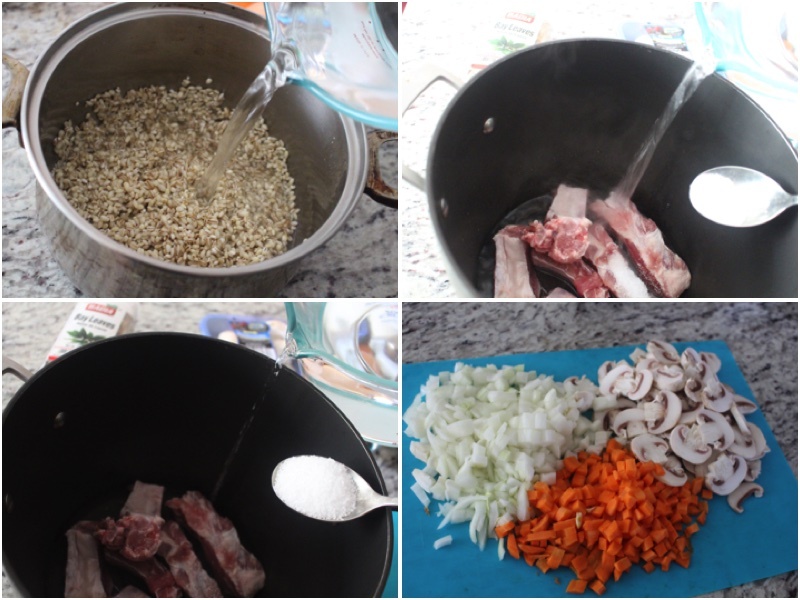 Drain your other pot so you just have the barley and add it to your pot with the ribs. Continuing add your chicken bullion and your fried vegetables, boil for 10 more minutes. On a cutting board shred your pickles and add them to the soup. Last but not least add your seasoning and bring it to a boiling point. Enjoy!! Great soup to have during cold weather. Very simple soup to make ? ?